What better way to celebrate Poetry Month than by reading some poetic fiction? Visit your library to see a selection of poetic novels on display in our fiction area, or click below to see the complete list we have ready for check out. See Mrs. Nay for more information! Happy reading! There is still time to participate in the Florida Teens Read Challenge! After you read a Florida Teens nominee, log into our Google Classroom and comment on the book you've read! Read some good books, win some great prize and vote for your favorite in April! 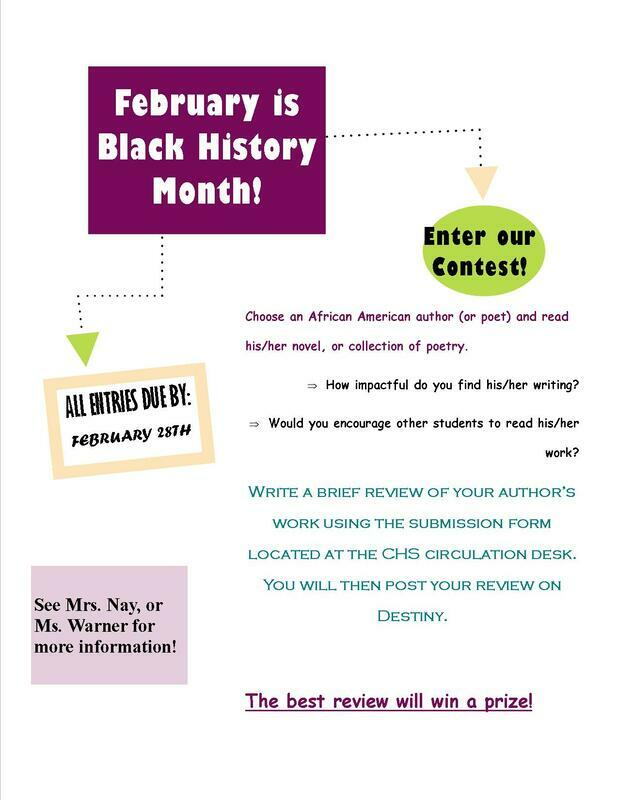 In honor of Black History Month, the library is sponsoring a contest. Please see below for information about our promotion! See Mrs. Nay for more information. Win an autographed copy of the hate u give! 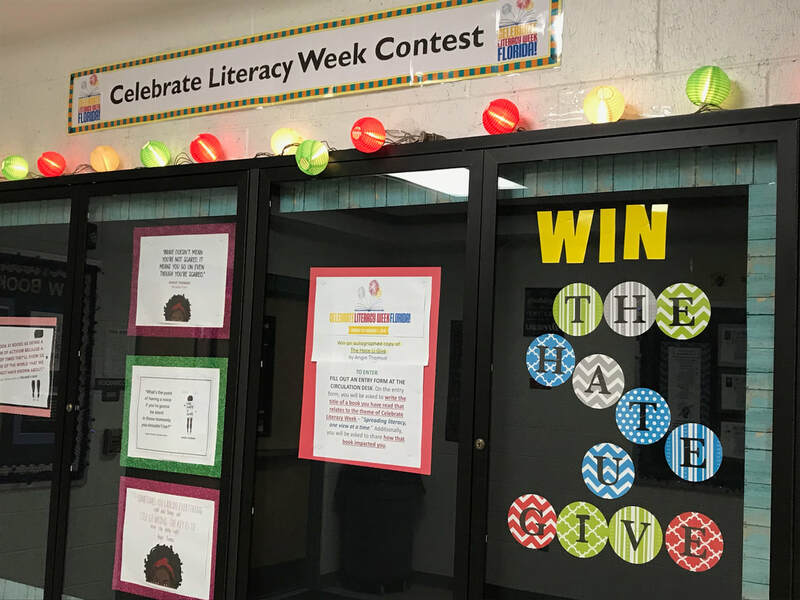 In celebration of Celebrate Literacy Week 2019, we are sponsoring a contest. Students should reflect upon novels read and choose one that relates to the theme of this year's CLW - "Spreading literacy, one view at a time." Share how a novel has impacted your view on a topic and your name will be entered in our contest. An autographed copy of The Hate U Give by Angie Thomas! See Mrs. Nay for more information! Join our Florida Teens Read Challenge! Students are encouraged to read each of the 15 Florida Teens Read novels and will earn prizes along the way. There is a bulletin board with bookmark summaries of each novel for students to take at the entrance to our library. To participate, join our Florida Teens Read Challenge Google Classroom (0qu921h). After having read a book, you should comment under the appropriate thread listed for each title. The FTR Challenge runs until April. Happy reading! 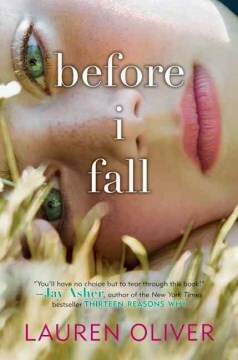 Now reading ... before I fall! We are now reading Before I Fall. Don't forget to comment on our Google Classroom page! Remember that you can visit the media center to set up your password the first week of school. Also, remember to see Mrs. Nay to join Book Club this year. Push-Pin Poetry in the library! 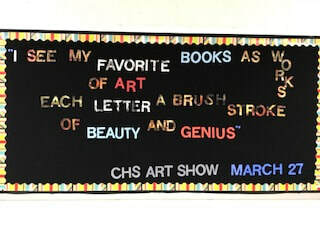 Art Show - March 27 @ the library!